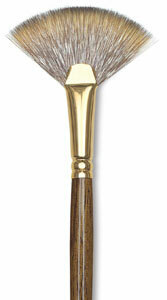 Use a Fan as a finishing brush for portraiture, landscapes, and delicate blending. 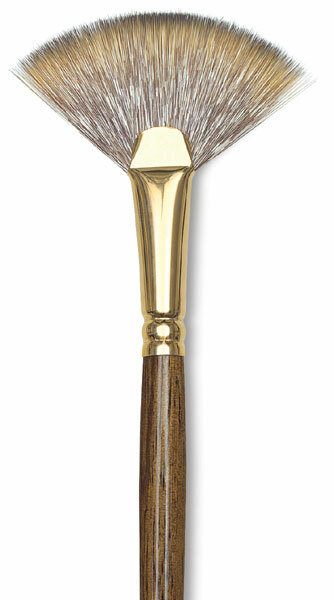 Monarch brushes are for acrylic and oil painting. The synthetic mongoose fiber offers better durability than natural mongoose hair. It is stiffer than sable, but softer than hog bristle. Gold ferrule.